Kitchen is the heart of the house and the lives of all family members revolve around it. Kitchen is no longer an area merely used for cooking, it is a place where the entire family can bond together and relax. Today, cooking together is a fun and exciting way of spending quality time with your family. The kitchen is no longer a woman’s den; it is now more of a family area. In such a scenario, more and more people are trying to make the kitchen area more attractive and appealing. 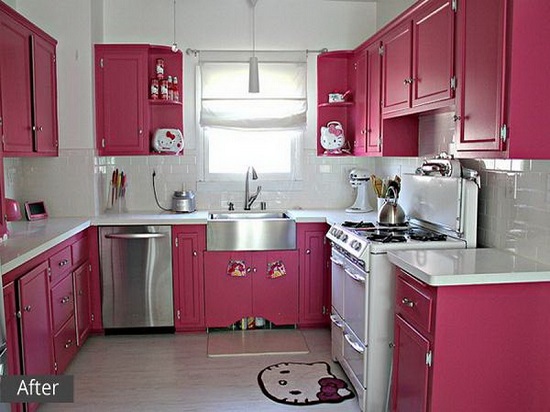 Hello kitty kitchen design is an example of this. 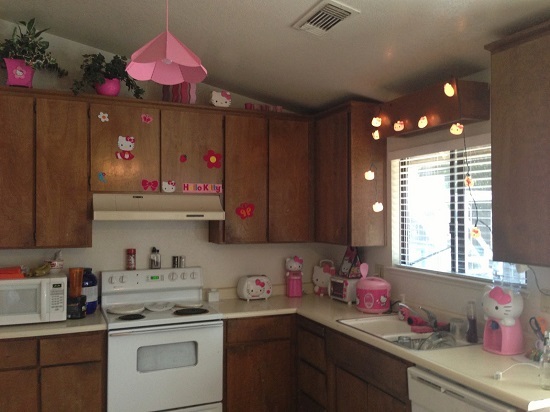 People are experimenting with their kitchen décor and Hello Kitty kitchen is surely a great choice, especially for families with children. Hello Kitty is synonymous with the color pink. 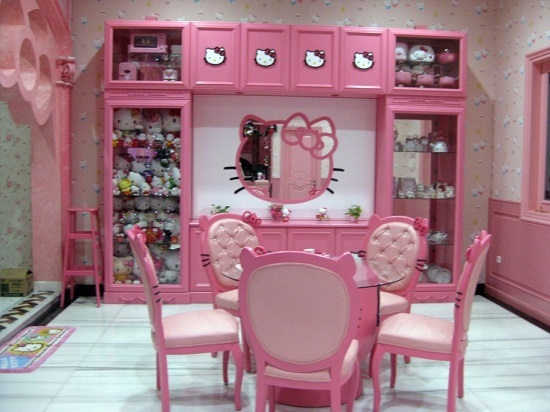 If you want to base your entire kitchen on the Hello Kitty theme, this is just perfect for you. You can mellow down the brightness of the pink by incorporating pure white into the kitchen. 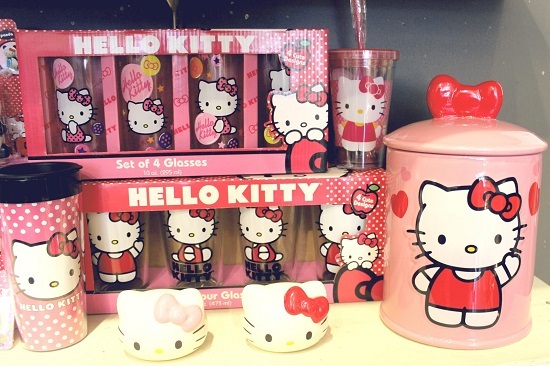 If you do not want anything too flashy in your kitchen but are a Hello Kitty fan, you needn’t worry. 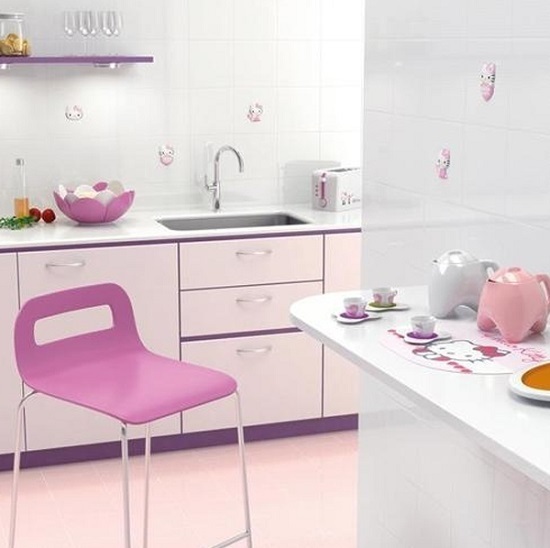 You can use baby pink or light pink interiors for your kitchen as well. 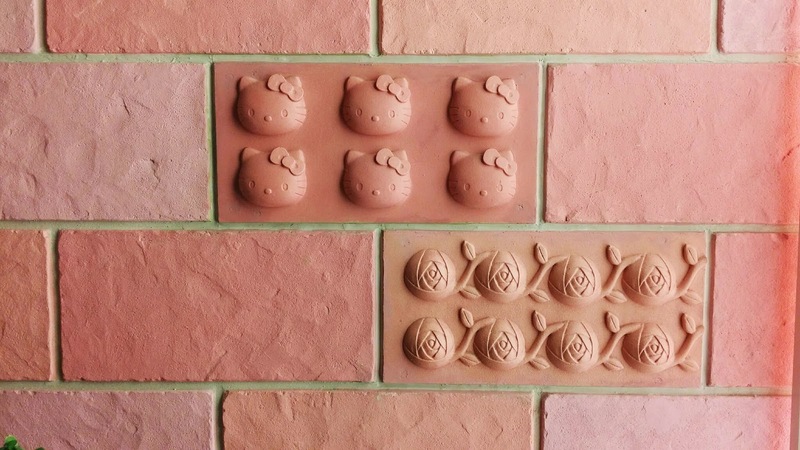 Another option for the interior is to use the Hello Kitty tiles in your kitchen. They can be used to cover parts of the walls, blending with the wall color or cover them up entirely. 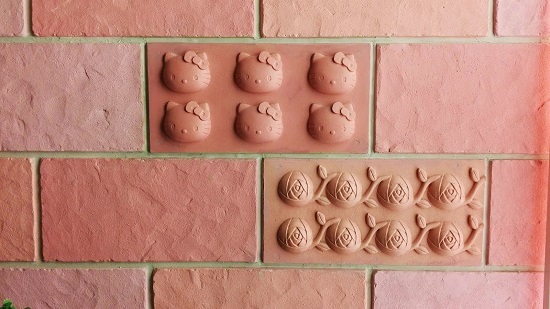 If you do not wish to renovate and still want a Hello Kitty kitchen, you can work with this idea. Add pink flower pots and lamps and other accessories like Hello Kitty wall clock and stickers. 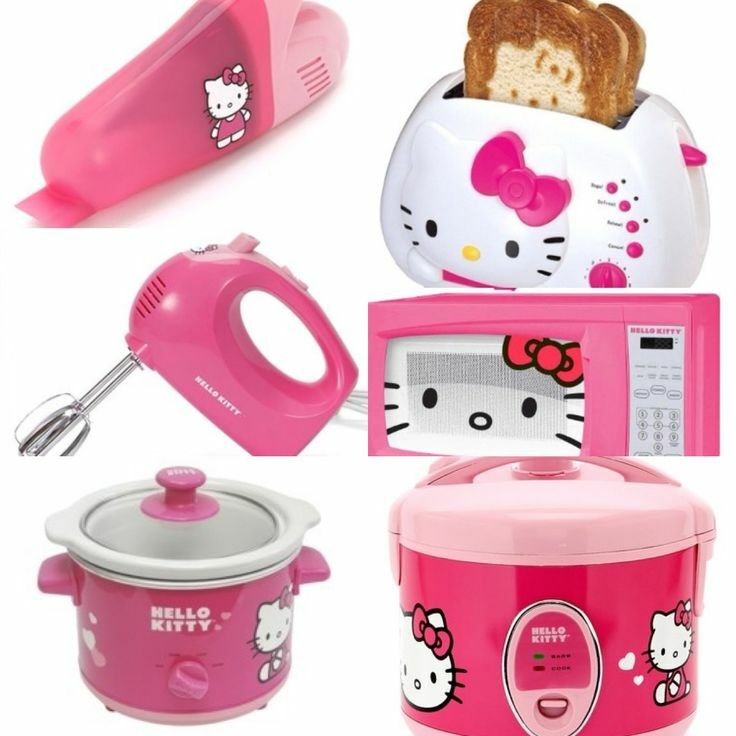 With these additions and Hello Kitty kitchen appliances, your kitchen will be fully transformed. 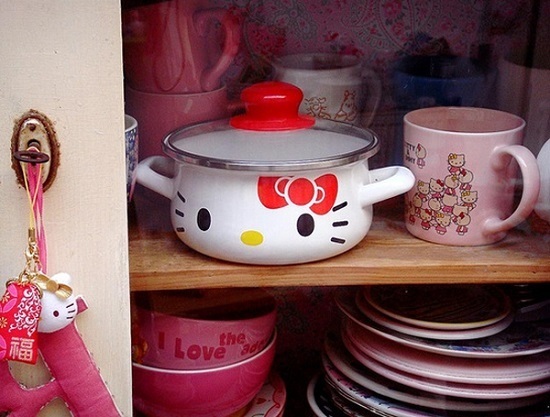 This is the most innovative and also the most striking way to incorporate Hello Kitty into your kitchen. 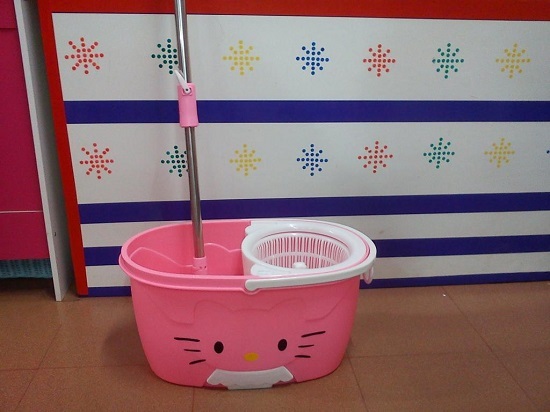 Design the kitchen entrance shaped like Hello Kitty and it will leave everyone amazed. 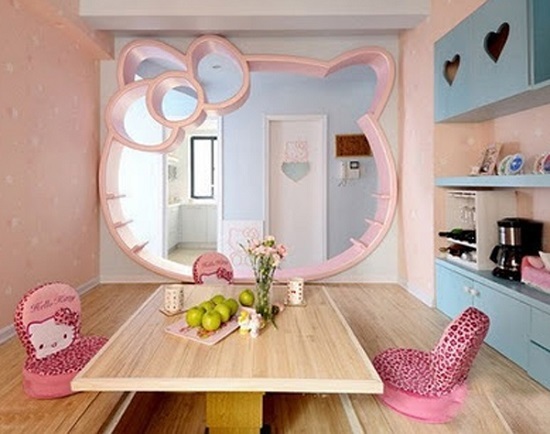 With the Hello Kitty theme, you would not want to leave your kitchen so the best thing you can do is to add a dining area in the kitchen itself. A kitchen definitely requires a lot of stuff to be stored. Get Hello Kitty containers that go with the theme of your kitchen. This is probably the appliance that occupies the most space in your kitchen. 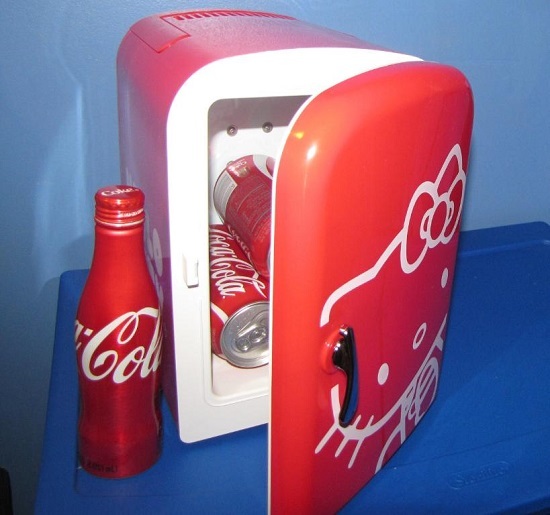 Hello Kitty mini refrigerators and ice makers will fit in perfectly. They look super cute and are extremely efficient too. Microwave oven is one of the most popular kitchen appliances. 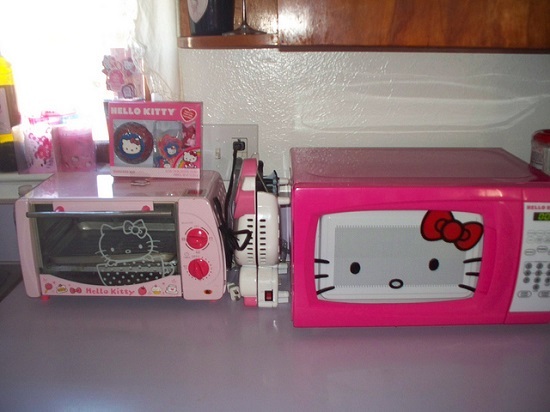 Bake in style with the Hello Kitty microwaves. These are absolute must haves for anyone who cooks. 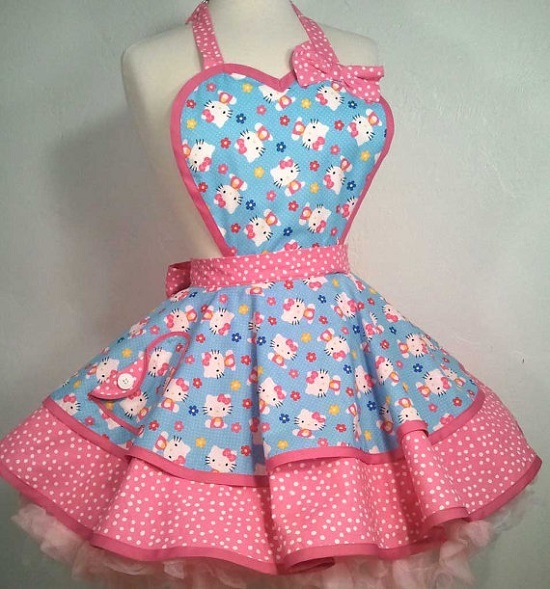 Get mitten and apron that go with the Hello Kitty theme of your kitchen. They come in different colors and you can choose the one that you like the most. Store the sumptuous cookies that you make in Hello Kitty cookie jars. These jars and mugs are cute, attractive and very useful. Also, there is a huge variety to choose from. These jars come in different styles and sizes and they are sure to win over your heart. 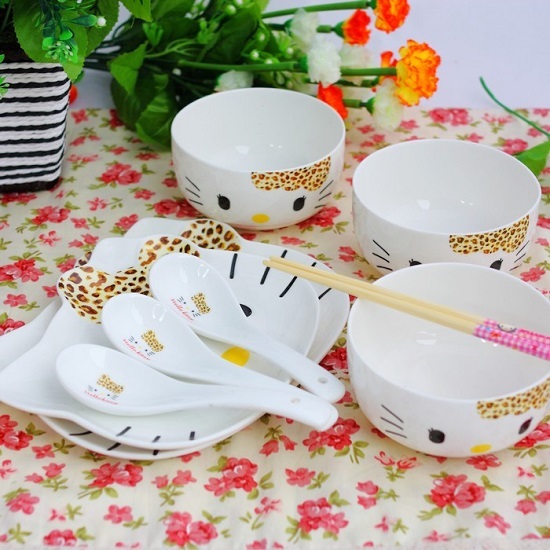 There’s a wide array of utensils used in kitchen, from bowls to pans, from spoons to strainers, name anything and you will get a Hello Kitty item. Cleanliness is extremely important, especially in the kitchen. Hello kitty duster, sponge and mops will make cleaning fun. Even the most boring meals can turn into the most appetizing ones with these fun utensils. An added advantage of these cute utensils is that this is the best way to get your children to eat green vegetables and all other nutritious food that they dislike eating. Electrical appliances are an inseparable part of a modern kitchen. All kind of kitchen appliances are available in different Hello Kitty Styles. With the wide range of Hello Kitty products available in the market, it is quite a simple task to design a Hello Kitty kitchen. It will definitely be very exciting to design the kitchen of your dreams.